Make up Geek won the heart of the blogging and youtube community. 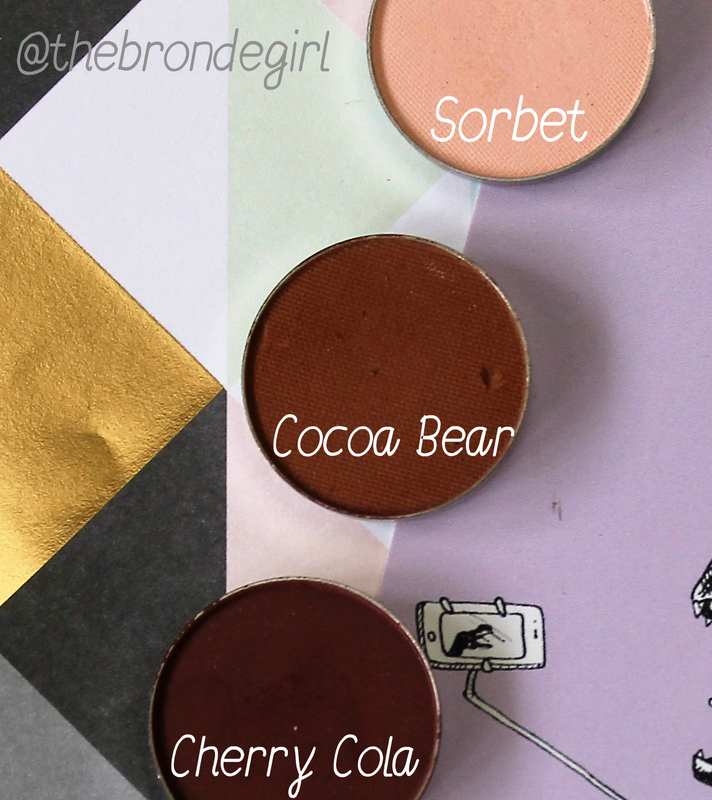 Their single shadows are crazy pigmented and super affordable. Us Uk lot have been staring at the America youtubers making beautiful eyelooks with green eyes lusting after them. But with the amazing website Beauty Bay, American brands such as Make Up Geek have become uber accessible. Not too long ago they were half price so I picked up a couple of colours, essentials and a few reds as I adore a red eye, but not many palettes have red in them. Frappe is a light brown and I believe the colour most people use as a transition colour. And It's ideal for just that. It's not too pigmented but is the colour I'd like it to be. It's buildable and can be used for bright colour too ( I like it for lilacs and purples). The red colours, bitten and cherry cola are ideal. Red is a particularly hard eyeshadow to make, the type of pigment makes it hard to still maintain colour, but also be blendable. Which is probably why most warm brown palettes exclude a proper red. These reds strike a great balance, and I think that it's going to be difficult to find much better. These are such a good price and red eyes are so popular, I can't wait to wear these every day during the winter months. The only disappointing shade I bought was Sorbet. 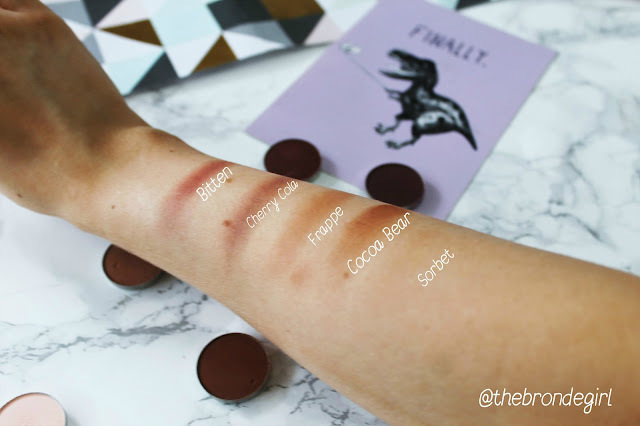 As you can see on the swatches below, it barely shows. It's too similar a colour to my actually skin. But doesn't really work as a base either. With a primer it kinda works as a base especially if I am looking to do a red/ pink eye. But if you're pale, you can probably skip this. 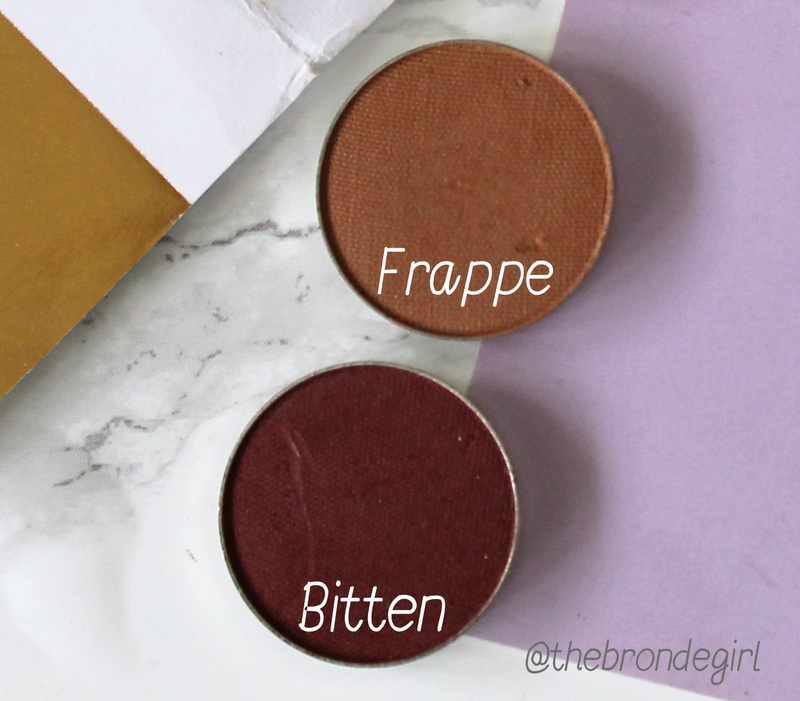 With Autumn well on the way these colours will be essentials and while I don't think it's essential to buy a whole new make up kit for a new season, adding some additional eyeshadows to your collection is a much more affordable way to do so.